Walking through a Las Vegas casino, it’s hard to resist the draw of a lively craps table. Movies always depict craps as being one of the sexiest games on the floor there's always a large crowd, a buxom blonde blowing on a high-roller’s dice, and enough chips on board to make it seem like everyone’s a winner. In real life, craps can be an intimidating game-despite it's seemingly less-sophisticated name-even when the table is completely empty. The size of the table, as well as the variety of bets, is as daunting as it is admirable. And this is all the more reason why thousands of people come to us to learn how to play craps and how to win craps. You have a variety of craps game software to choose from, in RTG, Microgaming, Playtech, Cryptologic, Net Entertainment and WagerWorks, even though the game is basically played the same no matter where you play it. In its simplest form, craps is a dice game, and in reality, you can play it with very little equipment, although the green table and colorful chips are nice. This is what makes playing craps at an online casino so inviting. While you may miss the cheering crowds and the electric excitement that comes from a good run of luck in a live, tangible casino, you won’t miss the added stress of knowing how shooters are determined, when to place your bets, or what to do when those pesky dice happen to bounce right out of the table when it seems like the whole world is watching. At an online casino, you simply place your bet when prompted and let the flow of the game take over. Of course, you’ll need to know a bit of how to play craps to make it entertaining no matter where and how you play it. You can read the articles listed below or you can take a look at the reviews by software listed above or in the navigation on the left to help you along. We know that you may not always come to win, but you always come to play-and playing is more fun when you know the rules, the odds, and the strategies involved. Luckily, the game can be broken down into a series of layers; you can learn craps in its basic form in a matter of minutes or you can learn craps masterfully with a bit more research and a lot more playing time. Check out our pages below to get started. We have the know-how you’re looking for regardless of what your end-goal is, especially if you’re end goal is simply learning how to win. Craps is just one of the games we cover. 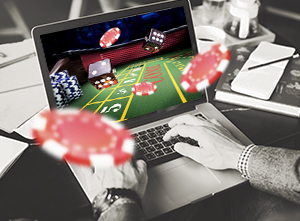 For more information about other online gambling tips and strategies, make yourself at home here at Games and Casino, explore our other games, and play at our recommended casinos. Let the good times, and those lovely dice, roll!